Finding great calendars can sometimes be a challenge! So many people resort to the cute little cuddly cat or puppy calendars you find at the local store. 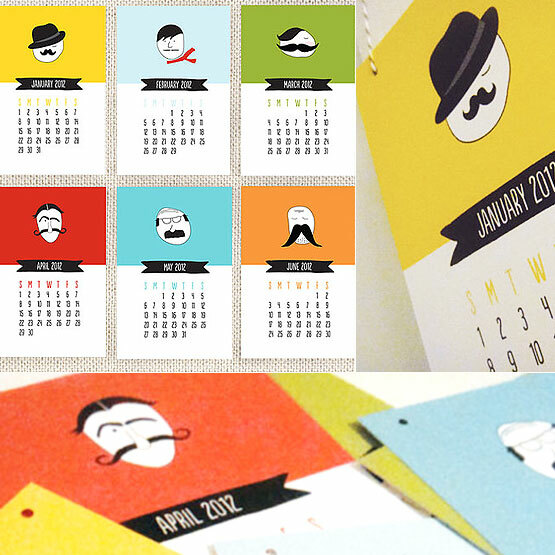 While those calendars may be cute, they lack sophistication, and lets face it... style! When I was younger, and when I say that I mean, before I had kids, I carried a beautiful Franklin Covey planner. It was pink leather, and I had a messenger bag to match. In my previous life I was the marketing director for a travel company. I had meetings and weekly conference calls, I was, important. 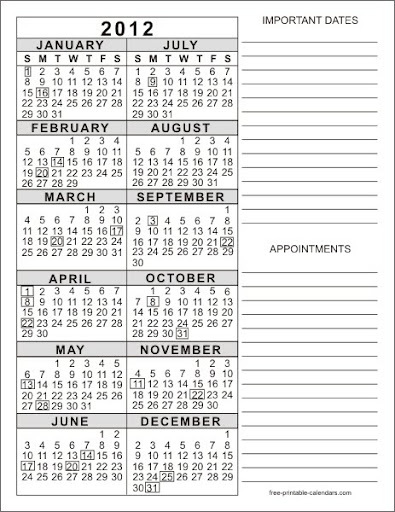 When I had kids I found it difficult to justify my beautiful Frankly Covey planner to schedule play dates and carpools! That's when I found Brenda. She created these beautiful pages, that are so fresh and clean. 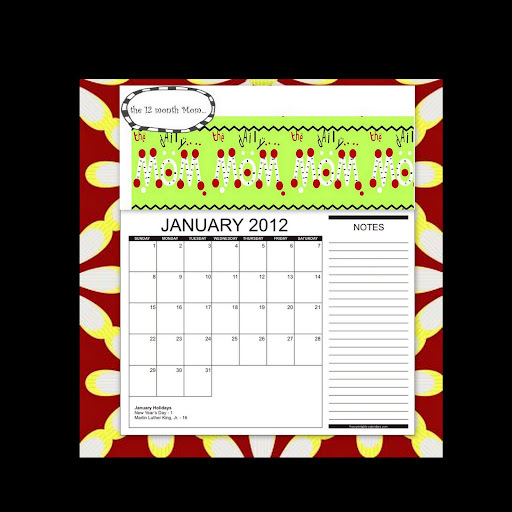 While this calendar is from 2010, Brenda offers other downloadable and printable pages like: things to do, shopping, scrap/card sketch, notes etc. 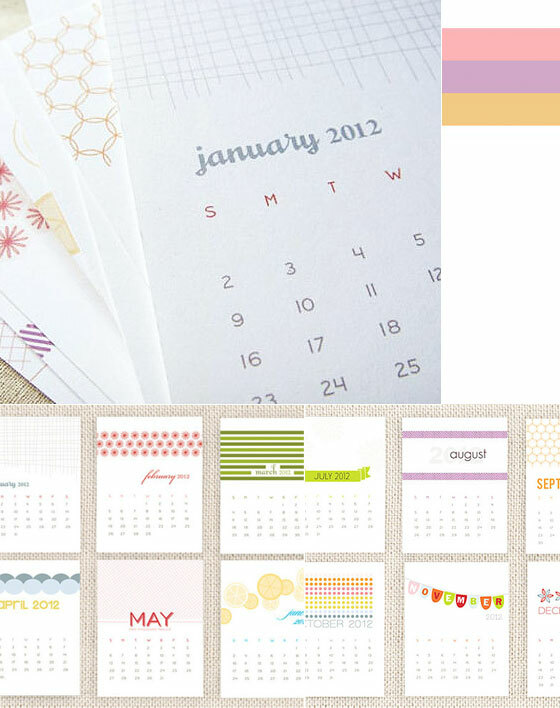 and they all coordinate with the calendar pages. 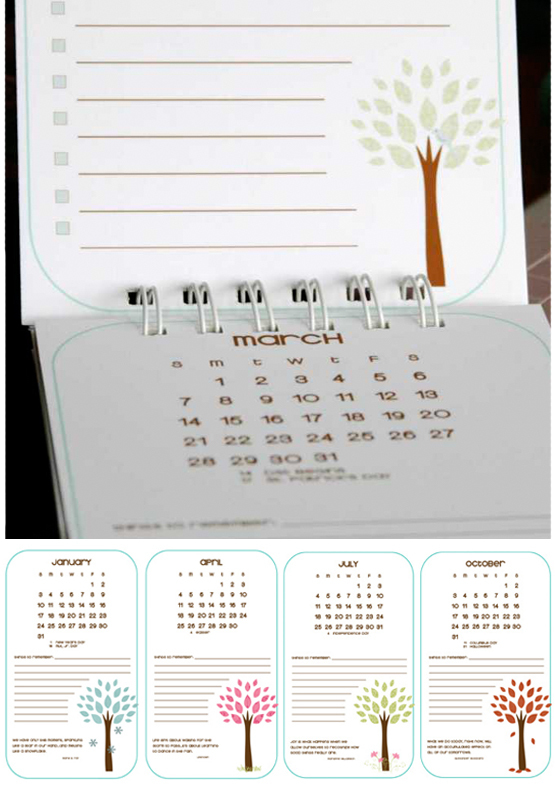 Each month is embellished with a gorgeous tree on the bottom corner of each page. Notice how the leaves on the tree change to coordinate with the season? I love the clean and simple design. 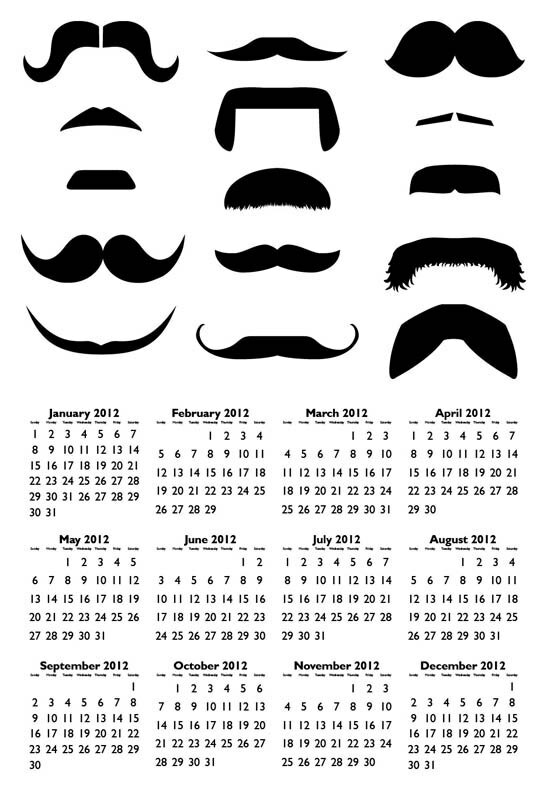 It's too bad Brenda decided against making a calendar for 2012.
Who doesn't like the latest mustache trend? 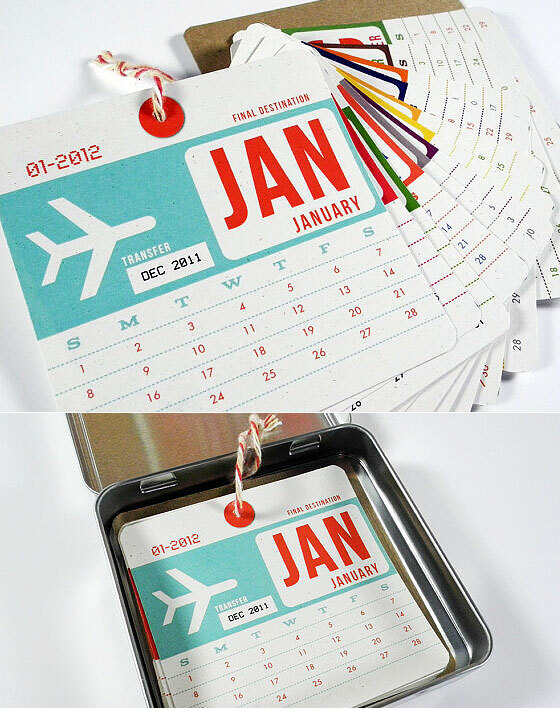 People are using them in so many differnt applications, why not in a calendar!? 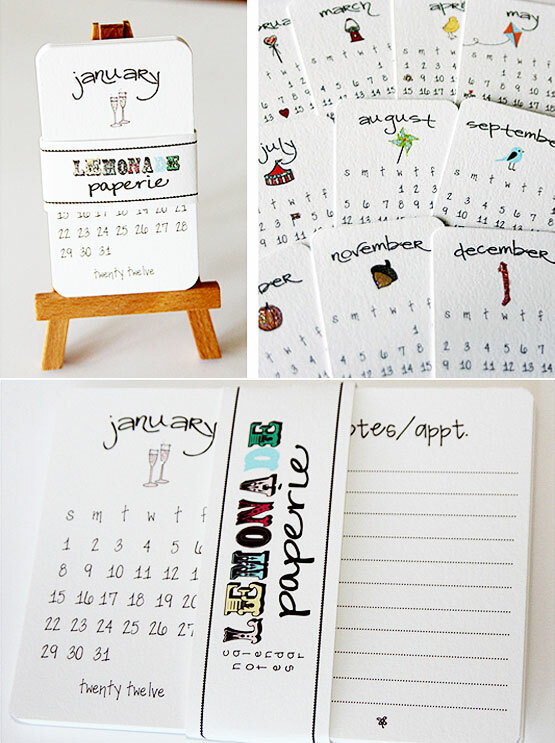 Printable calendars are all the rage - simply buy and print at home for instant gratification. 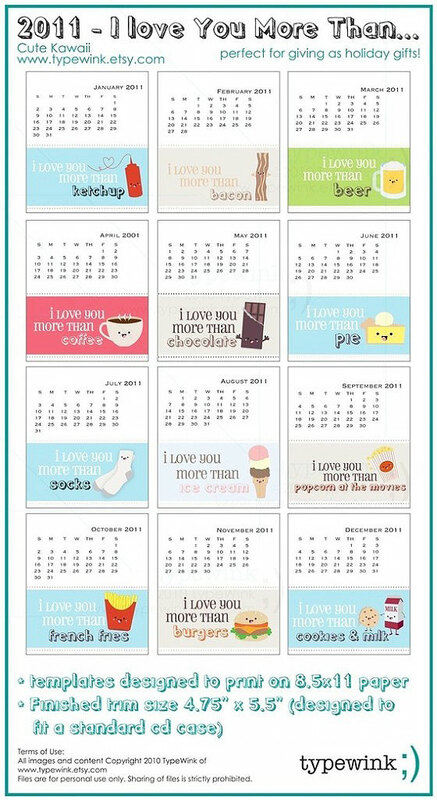 This adorable doodle calendar should make you smile all throughout the year with a simplistic image for each month and laid back font. As a part of the mommy survival guide, Mommy Tracked is offering some freebie downloads to help mom's control their chaos. 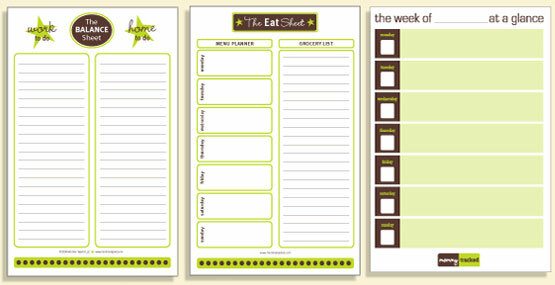 This is somewhat the ultimate in calendaring from Meal Planning, Party Planning, To Do's, To Do: To Delegate, Weekly Family Calendar, etc... all color coordinated and ready to help you organize things down to a T.
A fun 2012 printable calendar that will sure to make your loved one laugh each day of the year. Possibly even a great gift for Valentines Day coming up real soon! Hand drawn whimsical illustrations all throughout the year. She sold out of these for the 2011 series and now you can get your hot little hands on the 2012 version. Each month is hand cut by the author and fits in to a nifty CD case holder. If you like clean and simple, you'll love this organic, simplistic design and color palette to head in to 2012 with. Wow talk about a great gift for that person who loves to travel, loves the idea of traveling, travels a lot and can appreciate some great vintage design work. 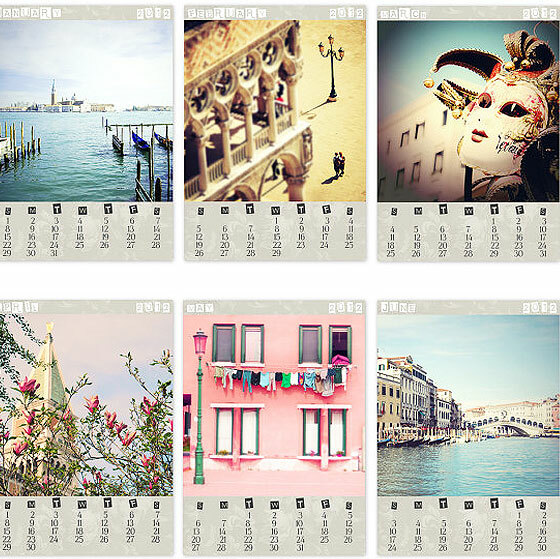 This gorgeous calendar was created especially for the Italy Lovers, globetrotters, travelers and Europe admirers. Who wouldn't want to admire these beautiful pieces of art all year long? Oh and here we are again with some fantastic mustache art! This piece comes as a 13x19 Art Print. Doubles as useful piece of artwork! Surrounding yourself in positivity can't be a bad thing. This is a fabulously designed piece with a lot to offer all year long. 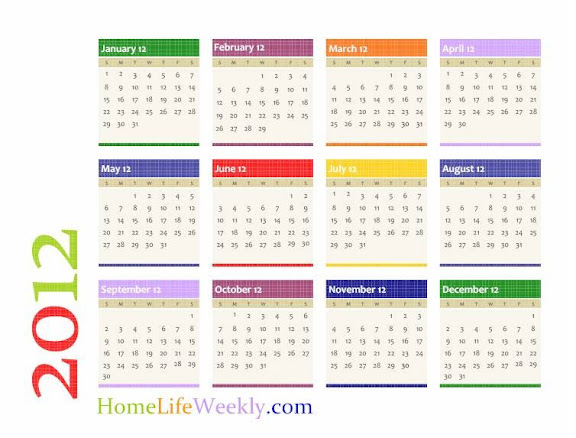 There are so many calendars out there with all types of themes. We are working hard to get the first annual 2012 COLOURlovers calendar put together for printable (free) download next week. Some of you have already been contacted for this but we are still filling in some months, so if you have a month-appropriate pattern template you would like submitted or you would like to recommend another COLOURlover's work, please do so here in the comments or contact mollybermea. @Fae have you also checked out Papernstitch? some of those are from there and I'm fast falling in love with the work coming from the designers there. @gibbygirl what kind of photos are you using for your photo calendar? A theme? oh my ....LOVE THIS. THIS IS MY FAVORITE BLOG TOPIC YET. I love paper products. I am making a calendar right now. That is so true that it's a challenge to find the perfect calendar or planner. I am 40 and I don't think I have ever found the oh wow...it has everything planner or calendar. I cannot wait to check out the websites you mentioned. Great job. I'd love to see everyone's favorite calendar styles! Do share?! took one of my current april patterns and downloaded it and cut out the sections and pasted them on the format and saved it as a jpg where i could load it like a picture. I did not need clickable numbers on this one...i had a little writing area under it. 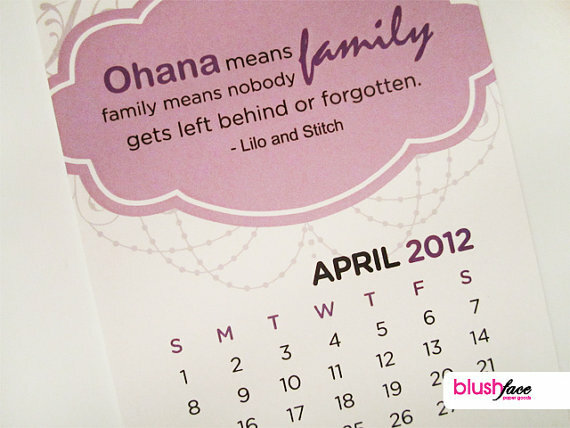 @glindathegoodwitch what a beautiful calendar! love it!! I especially love this color scheme and that pattern! can you link the pattern too? Anyone else making calendars with their COLOURlovers works of art? I suppose maybe that is you...unless you are like me and buy a picture frame and forget to change the pic out.Or get them as a gift and set them out to remember to put a pic in it....and as time will pass I have these totally cool pic frames that look so nice with people in them I have not a clue who they were. HAHAHA that is sooo funny!!! I made that calender myself and it took a few hours but all the pictures are my husband and me. I got married 2 1/2 years ago but when I made the calender I had been married for a year and a half. I have already taken last years calendars down but I went back and pulled a couple of them out to show you how i did it and where it came from. I cannot get to them and searched last night. I did them under my other name before I closed it. Although I downloaded them these particular ones I cut into pieces. I am attaching the pieces. found the palette in my work and the name of it was Something to Believe in 2 ...but it was without the blue. I suppose the Something to Believe in 1 has the blue. 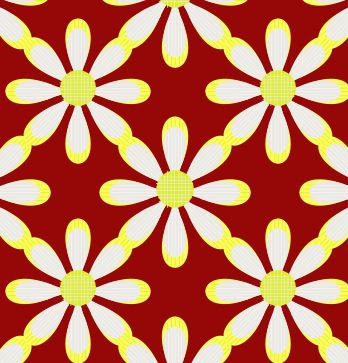 The circular pattern is a Ifollow the rabbit (I think) not sure about the busy floral daisy..but I did the single daisy as shown here in this. I also attached a copy of last years April to show how I cut it individually. I do a lot of stuff in picasa first and then I upload it to picnic. They are partners now and it will load from the desktop picasa. I really like picnic and it offers a great deal of things you can use to edit and use the effects that are free. I know the I assembled it by collage in picasa and put the turquose frame on it from the collage section. I just went to the search in the copaso program and was able to locate it and recreate it for you. I was pretty close in the one above...but these are the exact colors for that theme. This is also one from another wordpress one i had for the baseball moms. I may use portions of this in different colors. This is the 12 month mom...journaling to sanity. I took the seamless pattern and cut out a square of it. Like the daisy below. I did the mounting on black in picasa and now I can use this as a whole page calendar. I found a free calender online and laid it on top of it before I created it ....Since it''s not linkable because I formatted it...the note section might be better off left off and added in a post section below. Again I made all of these in colour lovers. I think the mom attachement at the top can be found by searching mom and if it's not in the whimsical..it's in the camo section. 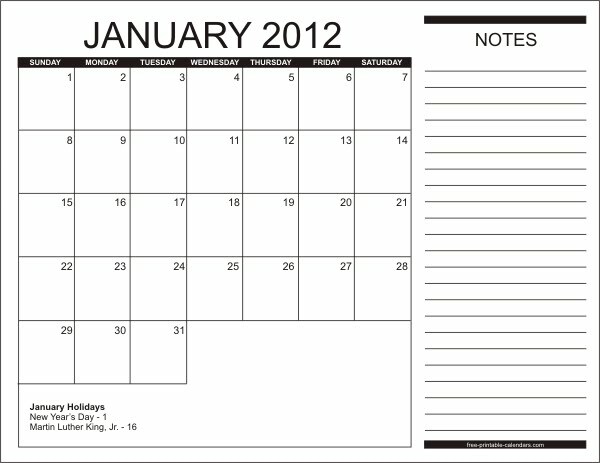 here are a couple of other simple calendars I like that any of you can experiment with. These came from a web site that allowed you to down load and use them ...so they should be ok. I thought this was instant cute ...kinda crafty new trend like. 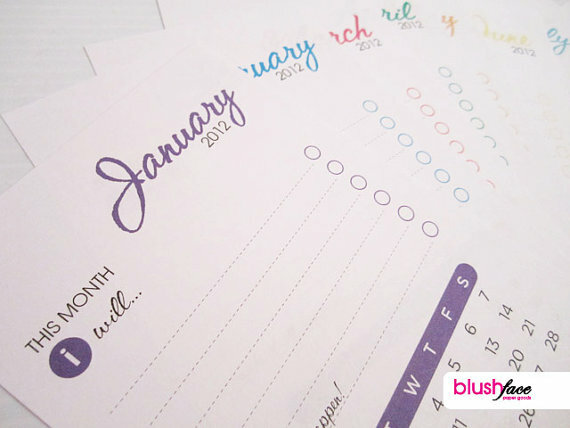 What is the perfect calendar/planner? What do you look for? I have to have a notes section, a place to write where I can keep all my notes, because I'm rather forgetful. I have a lot to manage on a daily basis, and if I don't write it down, actually write it down- I'll forget. I have a smartphone, but just can't seem to get into using it as my day runner. 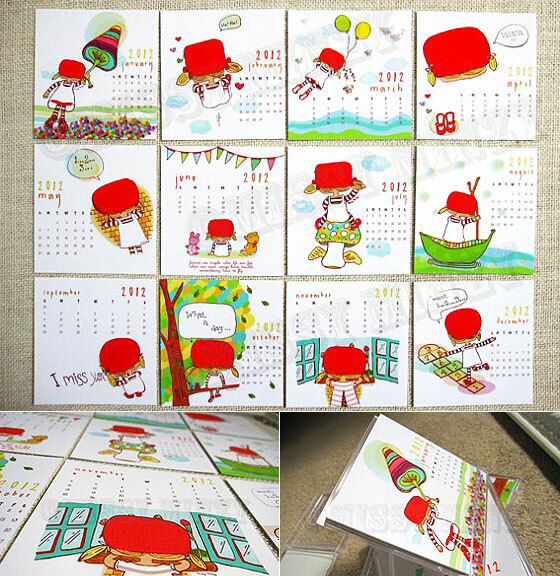 I love that calendar, it seems to take hours to make the perfect calendar, doesn't it? 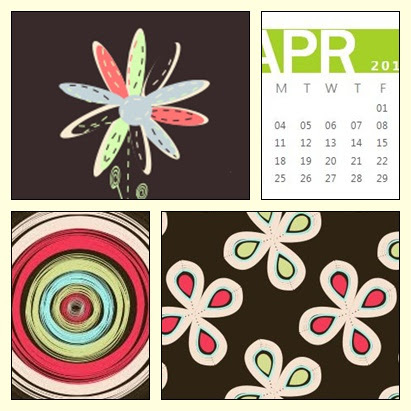 With patterns we love, and of course, sticking with holidays like St Pattys Day!! lol. @glindathegoodwitch what a beautiful calendar! love it!! I especially love this color scheme and that pattern! can you link the pattern too?Anyone else making calendars with their COLOURlovers works of art? I had the 12 month...one month in view (the traditional block type) but for each month I had the day or week not planner behind it. For example. 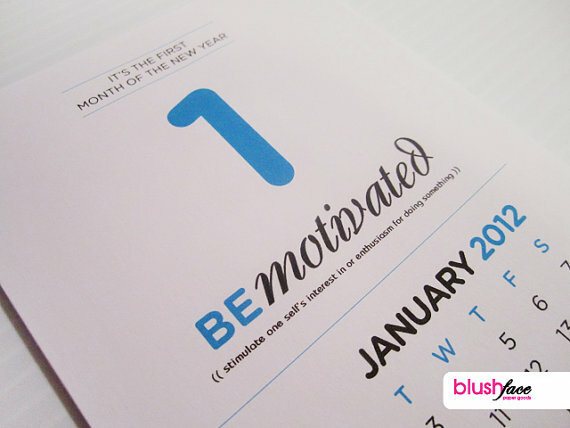 Jan month in view followed by the appointment and day scheduler behind it for all the days. At the end of the months I had 2 sets of address inserts. One for personal and one for business. Behind the business I had the business card holder(and i used this a ton...it also worked good to organize commercial contacts and or business calls. After that I did a divider and did a funky cute calendar with the 1 week in view for my kids school projects and mommy things. I found in my type line of work ...I kept it seperate from the professional notes. That way I could keep them all in one. Some years I ended up with the notebook size planner but most of the time I used the typical size. I always bought the to do and note list and put a few behind each week. Matter of fact I used to call it my brain..and could not function without it. I still to this day do not keep anything in my phone or hand held...too many places I would worry about it getting compromised. It was a liability waiting to happen in the financial world when i was there. They are more secure now. My phone honestly gets about 2 -3 calls a day and the only texts really I send is my kids. It would be ok with me if I could find a phone that did nothing but call..no camera, internet, or anything.I hate the phone. But as far as buying one that is made and ready to go..they never were functional to me.